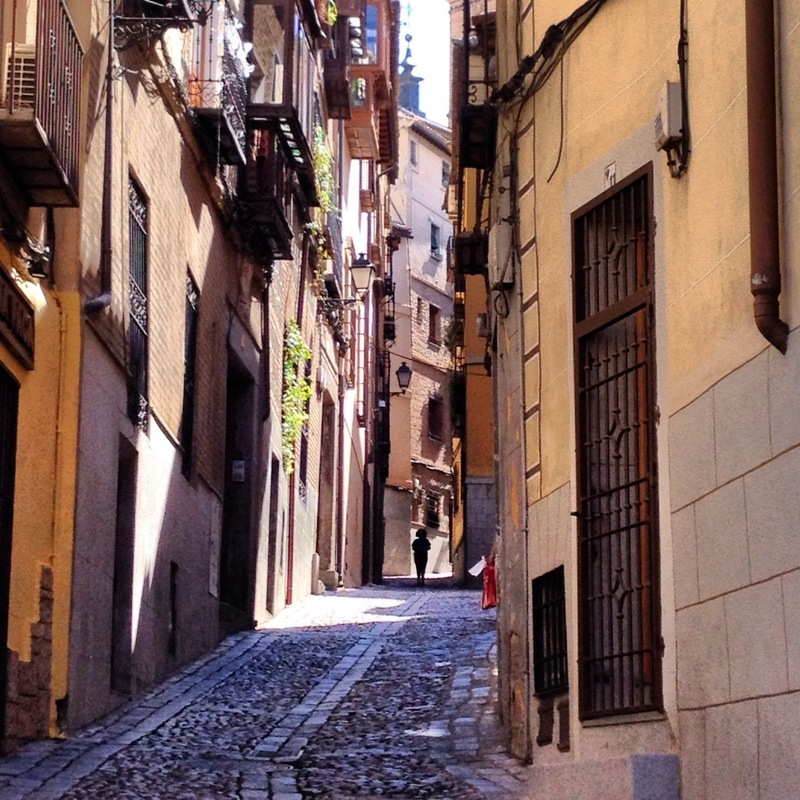 For this week’s post I thought I’d share our day in Toledo with you. We took a day trip from Madrid on a Friday when we were in Spain last month. We got to the train station early enough to get something to eat before we headed off to Toledo about 9:30 a.m. It’s a half hour ride and once we got there we opted to walk into town. It’s probably a twenty minute uphill hike to get to a cafe where we got something to drink and enjoyed the sunshine on their terrace. Up first are some photos of our hike into town. finally, the end of the climb! After our refreshments it was off to the Santa Cruz museum where many El Greco paintings reside. I’m a huge fan of El Greco so I had to go back and have another look. They’ve redecorated since we were there five years ago and all the art is on the first floor instead of two floors. There is a beautiful courtyard too. The paintings here are enormous but stunning as well. El Greco’s style is unique and I’ve always enjoyed gazing at his art. I love the long fingers, his use of white and the eyes he paints are mesmerizing. We spent the rest of the morning and early afternoon in La Judería which I wrote about two weeks ago. I hope you’ll check out that post, it was one of the highlights of the trip for me. We also paid a visit to Mariano Zamorano’s sword shop as hubby wanted to say hello. Hubby bought a sword there five years ago and got to shake the sword maker’s hand. We got a brief tour of the workshop where a few men were working with steel and then we were on our way to La Judería. eating cakes with lady of the cakes. stupidly, I forgot to take a photo before we started eating. I’ve been to Toledo many times, starting when I was a student in Madrid over 35 years ago. It’s still a very special place to me and although this visit was short, we all had another great time. If you have not been to Toledo, well, you just have to go to Toledo. The most picturesque city in the world. 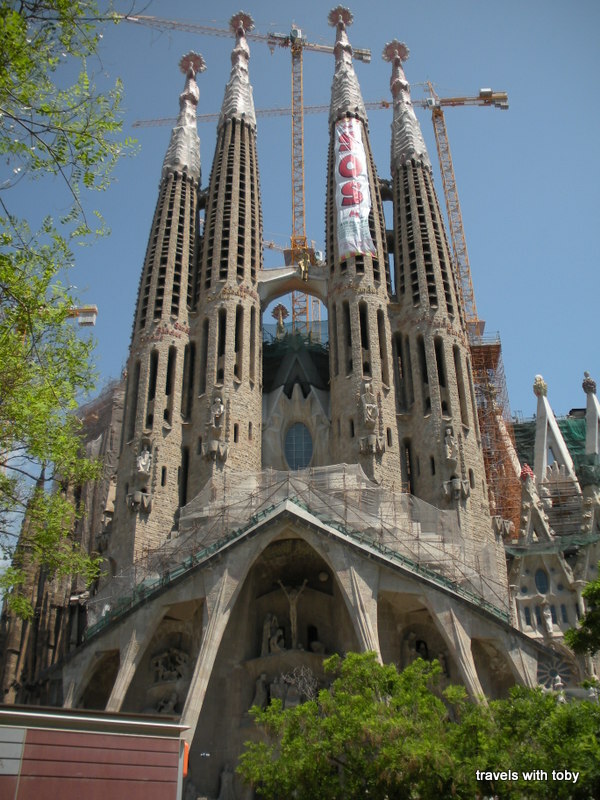 My daughter would argue that with me since she fell in love with Barcelona this trip. But that’s a post for another day. I mentioned last week that I just returned from Spain. It was a packed two week adventure full of art, culture, interesting people and fabulous food. I’m going to be sharing stories and photos from the trip and I thought I’d start with La Judería in Toledo. I thought Easter weekend was an appropriate time for this post. 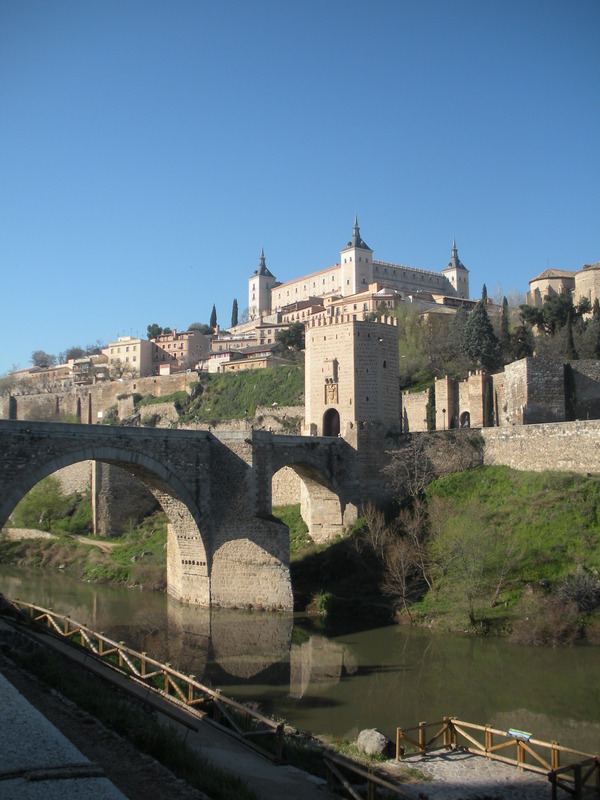 I have been to Toledo many times but for some reason I never delved into its Jewish past. Not so this trip! We visited one of the two synagogues in Toledo on our last family trip six years ago. And that was not planned. The places we wanted to visit were closed that day so we got out the map of the city and found other things to do to fill the time until our return train to Madrid that afternoon. 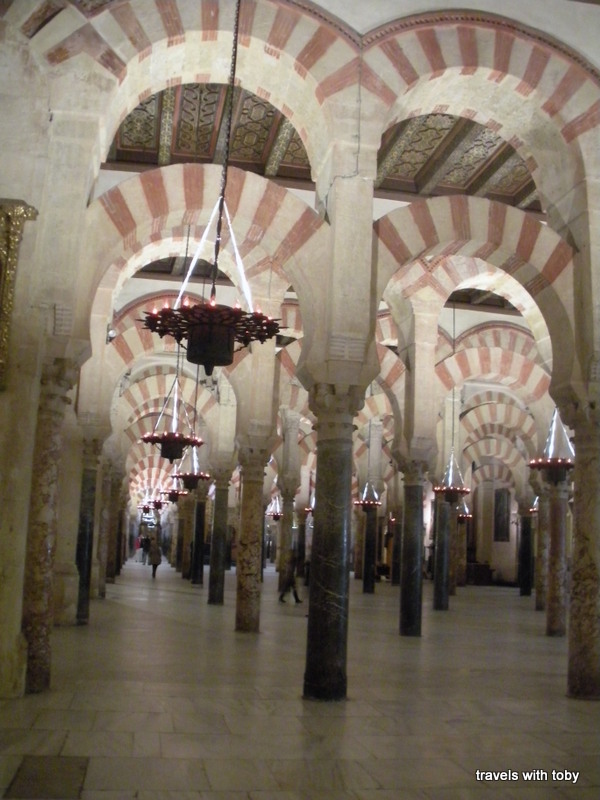 One of those was Santa Maria la Blanca which used to be a synagogue that became a church after the diaspora of the Jews. Built in 1180, it is considered the oldest standing synagogue in Europe. We enjoyed it so much six years ago that we decided to pay another visit. In the same neighborhood is the Museo Serfardí in which the second synagogue resides, Sinagoga del Tránsito. I was so impressed with this synagogue and museum, not only because of the stunning architecture, but also the many Jewish relics on display. It was a bit overwhelming! I hope you’ll enjoy some of the photos I took of the two synagogues. I’ll be back later with more photos of picturesque Toledo so stay tuned for that! First a small gallery of plaques in the ground, two that mark the beginning of the Jewish quarter. There are three of these, the third one is in English but I didn’t get a photo of it. The other two photos are samples of tiles that are found throughout the Jewish quarter. I need to find out their significance. For now, here are the photos. Click on any image in any gallery to see a larger photo and the gallery itself. To those that are celebrating: Happy Easter! Just got home from Spain!! Hello out there!! I just got home from Spain and have so many tales to tell! After I decompress and sort it all out I’ll share them with you. I hope you’ll come along for the ride but in the meantime I thought I would share a brief snapshot of a few of our adventures. We spent two weeks in Spain to celebrate our 25th anniversary. I had three great hotels booked and all met and even exceeded our expectations. All the staff at every hotel were so friendly, helpful and on top of everything! We had some bumps along the way but overall it was a resounding success. I met up with several blog and travel forum friends and ate fabulous food. The weather was not at all ideal and was windy most of the time. But you can’t plan on the weather and we carried on with most of our plans and had a great time. Okay, as promised, here is a gallery of some of the things we saw. I’ll be back soon to tell some tales. 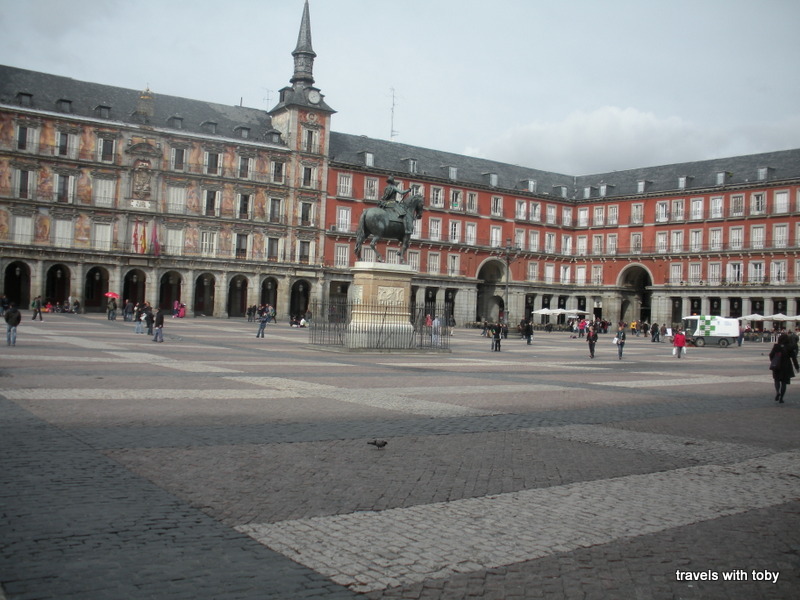 I just had to share these fabulous photos of one of my favorite cities in Spain. Enjoy!! Thursday, July 4: The next place I go on my walking tour is the Alcázar of Toledo, a stone fortification that sits at the highest part of Toledo. 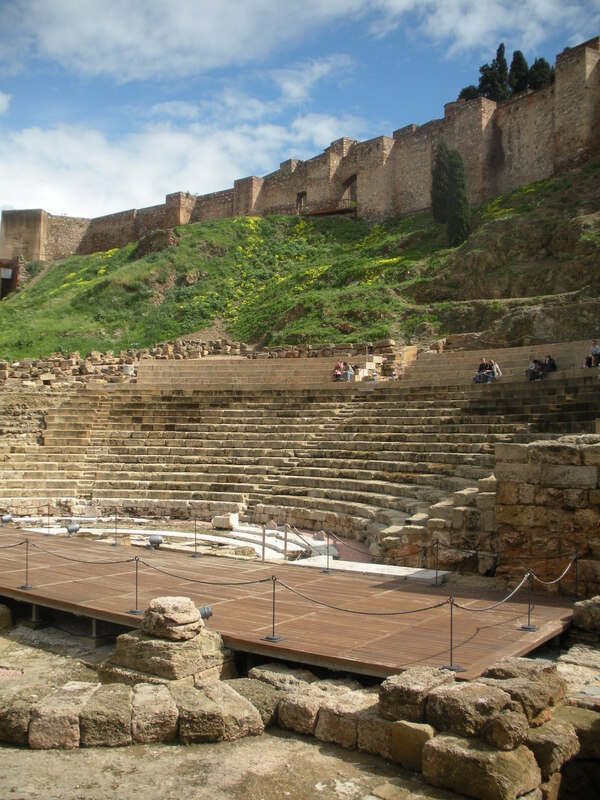 In the third century, it was used as a Roman palace. Abd ar-Rahman III built an al-qasr (fortress) here in the 10th century; it was later altered by the Christians, according to Lonely Planet Spain. The Alcázar was largely destroyed during the siege of Franco’s forces in 1936 but Franco had it rebuilt and turned into a military museum (Lonely Planet Spain). I just had to share this of one of my favorite cities in Spain. All the pics are fabulous but I especially like the one of the Alcántara bridge. Enjoy!! It’s official: I love Spain. The food, the culture, the people, it’s all fantastic! Unlike Paris, where I felt out-of-place and intrusive, here in Madrid I feel like a welcomed guest. You smile at people, and they smile back! Madrid is lively and sometimes chaotic, so a few hostel friends and my dear friend Pablo (from Madrid) took a day trip to Toledo: the old capital of Spain in the 6th century. It’s described as a medieval city, and yes, it is exactly what you imagine an old European city would look like. Te streets are tiny: some so tiny no car will fit down them, let alone be able to navigate the winding paths and sharp corners.